New Apple TV owners rejoice as the all new Infuse 4 for your new Apple set-top box is launching today. 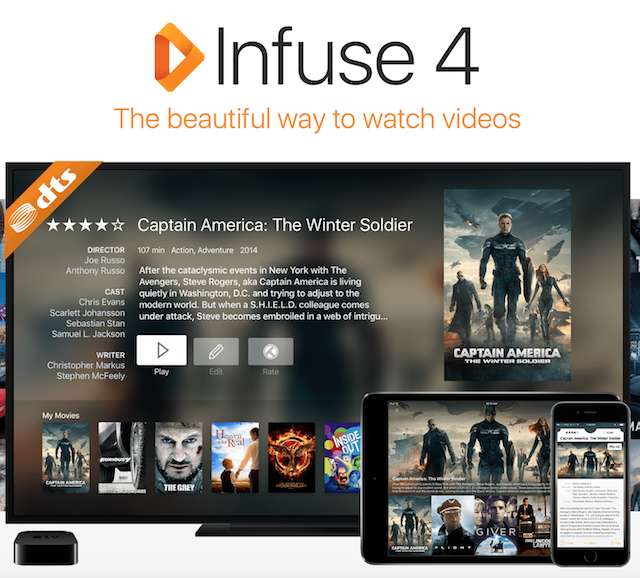 Like its popular iOS counterpart, Infuse 4 for Apple TV provides a super-clean way to enjoy a wide array of videos types from wherever you may happen to have them stored, be it a Mac, PC, NAS, Wi-Fi drive, or a server app like Plex, Kodi, or Serviio. 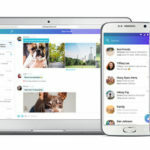 Infuse 4, which is a free upgrade for all current Infuse 3 (iOS) users, also provides automatic movie details and artwork fetching, integrated trakt.tv sync (for keeping watched progress in sync on multiple devices), subtitle downloads from OpenSubtitles, and many other great features. FireCore had announced their plans to release Infuse 4 for Apple TV last month, soon after Plex released their app for the new device. For more information, visit FireCore’s website.